Hoverboards: the Metro Code of Conduct doesn’t say you can’t bring them on board buses and trains. Screen grab: Universal Pictures. The subject of Back to the Future Day came up in my beer league hockey locker room last night. The team agreed on two things: our breakout is weak and that we’re pretty certain a real hoverboard exists — we just don’t no for sure which top secret government agency is hiding it. 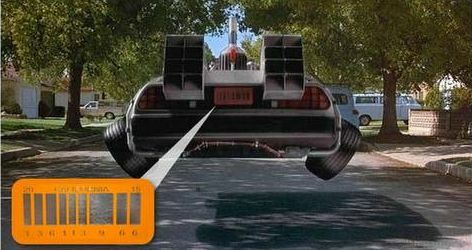 A hoverboard, of course, would seemingly make a great device for getting to and from stations for flying buses and flying trains (see: Back to the Future 3), assuming hoverboards would not be good for traveling longish distances — although Biff’s ‘Pit Bull’ model looks promising (here’s a clip from the movie; adult language warning). We could work with cities to install protected hover board lanes so as to provide safe and efficient access to our stations. 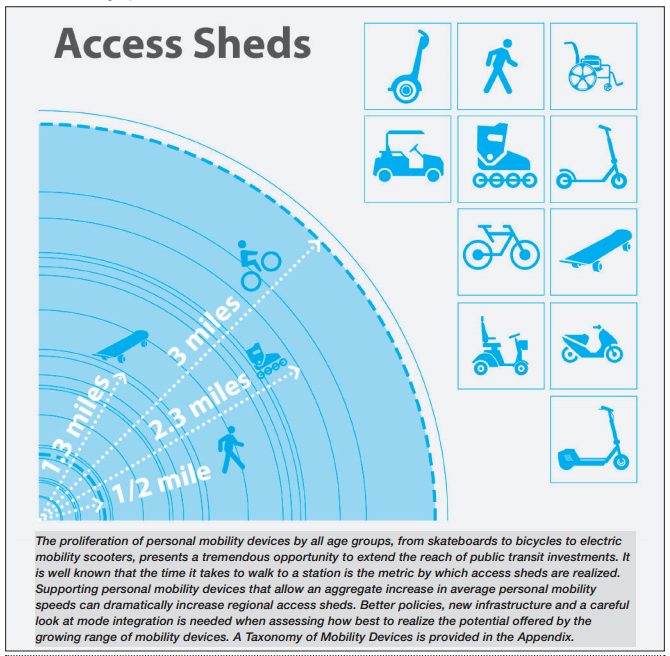 We also may want to install secure hover board lockers at all Metro Rail stations and relax the rush hour restrictions on bringing hover boards onto Metro Rail trains. 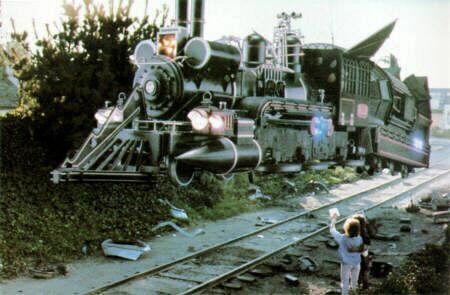 Hill Valley transit, circa 1885. Credit: Universal Pictures. I like that he’s thinking about protected lanes. 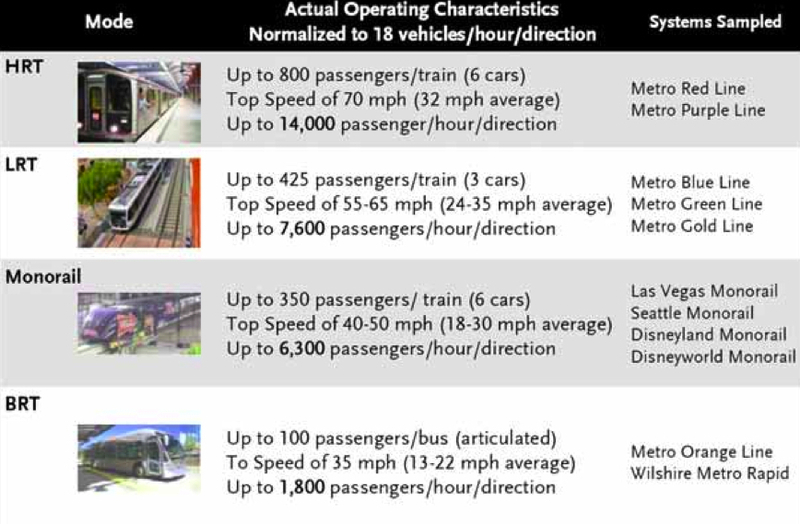 This could be especially important with the aforementioned cars, buses and trains flying every which way. With the benefit of hindsight — and a closer look — “Back to the Future, Part II” proves surprisingly prescient. Coexisting with inventions and trends that may never come to fruition are those that have now arrived, including the use of drones, eyeglasses as wearable tech, video conferencing, and a focus on urban renewal and green space. There has been on- and off-again monorail talk in our region over the years, but nothing has made it past the parking lot at Disneyland. 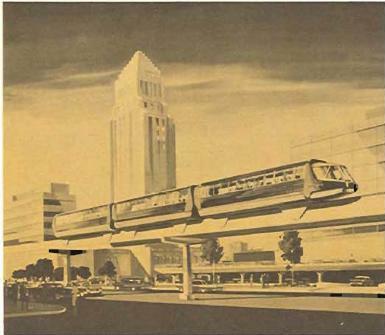 The alternatives analysis for the Purple Line Extension subway did actually look at a monorail for Wilshire Boulevard and found all sorts of issues — forcing riders to transfer from below ground to above ground at Wilshire and Western, the size of the aerial structure needed for stations, speed and capacity. There has also been occasional talk about building pod transit in our region. Pod fans like to say that they can whisk riders to their chosen location, although that means building an awful lot of trackage for the pods and no major city has decided they would be more practical than good ol’ buses and trains. 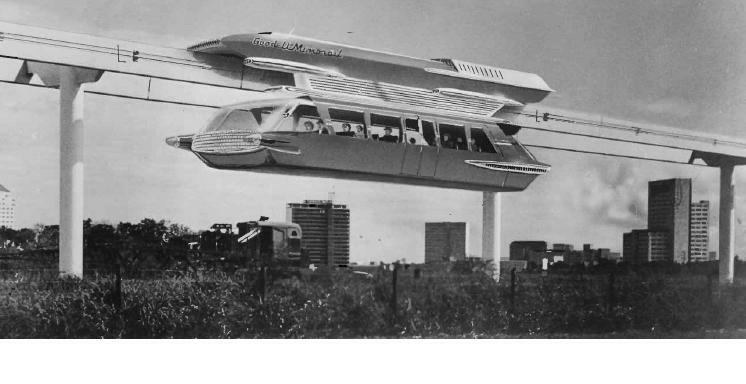 Pod transit as envisioned in an early 1970s rendering. Credit: Metro Library. As you might have guessed, that idea withered on the vine (as did the original MTA eventually). 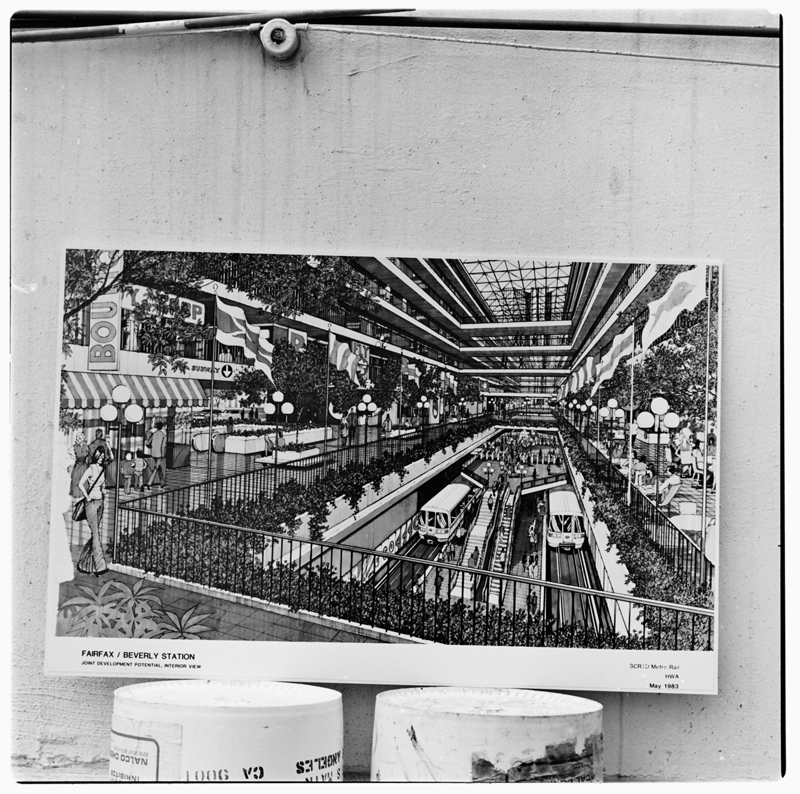 The idea, however, never went away and the subway project was revived in the 1980s although the Westside segment suffered two big blows: a federal ban on Westside subway funding pushed by Rep. Henry Waxman following the unrelated methane explosion at a clothing store at 3rd and Fairfax in 1985. In 1998, Los Angeles County voters approved a ballot measure that banned using local sales tax revenues for subway tunneling — a measure by then-Supervisor Zev Yaroslavsky that he said would save Metro from spending money it didn’t have on construction. Everything changed in 2008 when Los Angeles County voters approved the Measure R half-cent sales tax increase. The 1998 ballot measure didn’t apply to Measure R and that meant that R could provide enough funding for the Purple Line Extension to also attract the needed federal dollars. 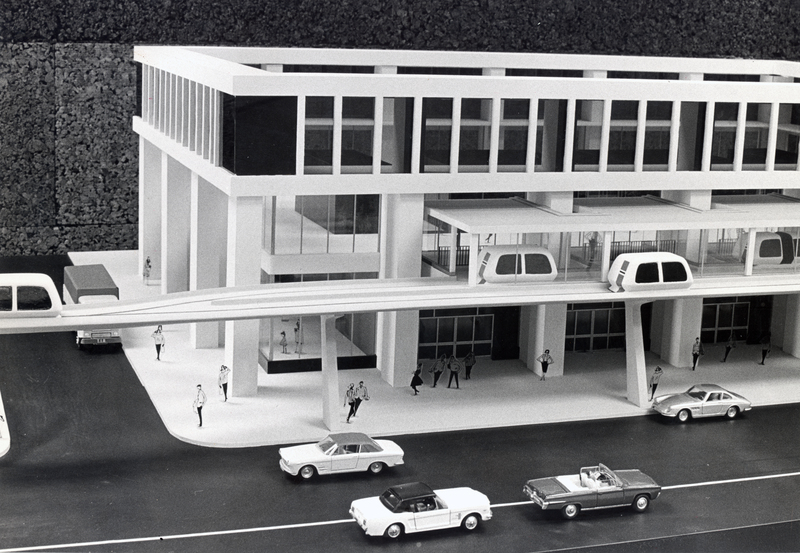 The proposed Fairfax/Beverly Station as seen in an early 1980s rendering. Credit: Metro Library. One notable difference this time around: the subway will actually follow Wilshire Boulevard most of the way to Westwood (with a swing south in order to have a station in Century City). 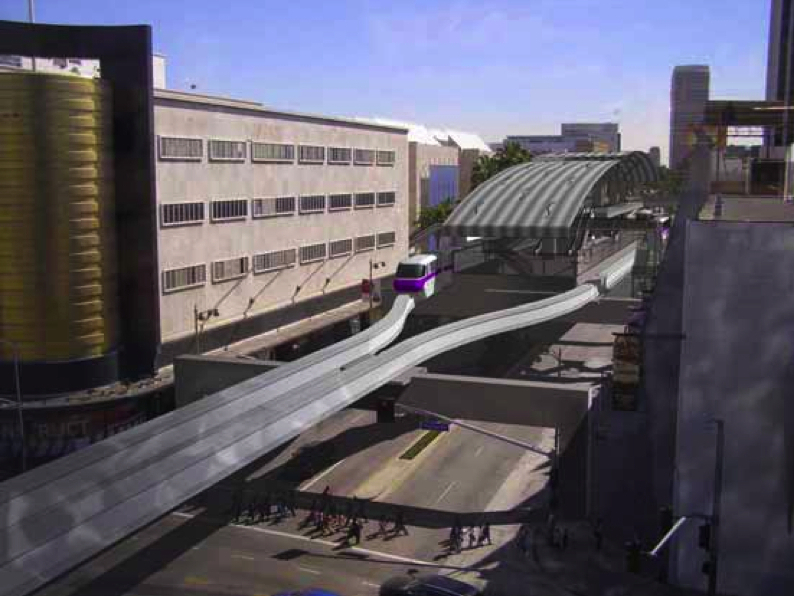 And, in fact, work on the Wilshire/La Brea Station continues next week with traffic lanes being reconfigured to accommodate station excavation, expected to begin later this year. Of course, the transit future really harkens back to the transit past as our region was once criss-crossed with streetcar lines and other tracks used by passenger trains. What will everything look like on Oct. 21, 2045? Of course, the majority of the estimated $68 billion in funding still needs to be secured to get the train from San Francisco to Los Angeles — only a short segment in the Central Valley has funding at this time. And, finally, Greentech Media today asks whether Elon Musk’s proposed hyperloop project will live up to the hype. The hype: at a cost of $6 billion the hyperloop will transport passengers between L.A. and New York West (i.e. San Francisco) in 35 minutes at speeds up to 760 miles per hour. Your guesses at what 2045 will hold? Comment please. Oct. 20: CicLAvia gives the air a good scrubbing, L.A. to legalize locking bikes to parking meters, millenials versus the driving habits of Americans. Metro is on Twitter, Facebook and Instagram. I’m on Twitter and my photo blog. Back to the future indeed…where are the helicopters the Division of Highways (now CalTrans) wonks said we would all have now to contend with freeway jams? Certainly there’s a likely bureaucratic reason why we don’t have barcoded license plates yet. Hmm. Pity the prediction about the Cubs is unlikely to pan out. 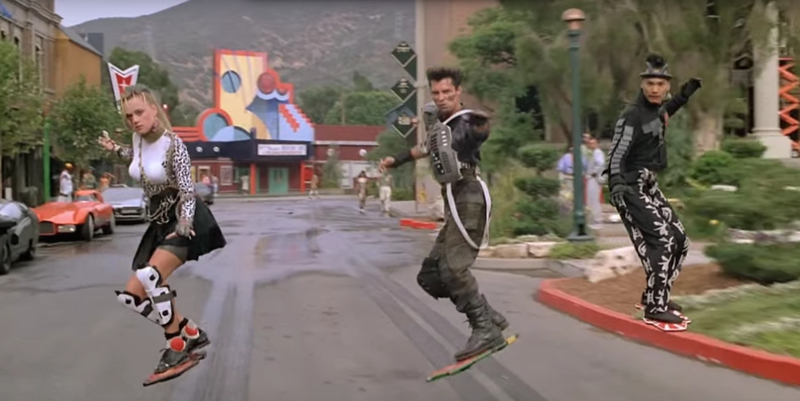 I think we are getting very close to the day that hoverboards will be close to what we saw in the movie. Although way of 2015 date where every day consumers can use them however we are definitely on the right track!